Bungalow along the beach located in the center of Candidasa. 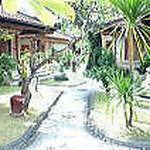 Restaurant of the hotel can eat Chinese style Indonesian food at reasonable price. The room is also clean and has a fan room and air conditioning room. It is about 5 minutes walk to DIVELITE. Single fan USD20.00 Double fan USD28.00 Single Ac USD28.00 Double AC USD36.00. 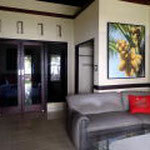 All rooms includes breackfast and taxies. All room has hot shower. This hotel is located in the center of Candidasa. 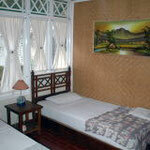 Its is located next to Puri Pandan Bungalows and good access to DIVELITE. Superior room USD35.00(USD42.00) Deluxe room USD42.00(USD50.00) Deluxe sea view room USD46.00(USD54.00) Deluxe beach front USD58.00(USD65.00) Extra bed are USD15.00. 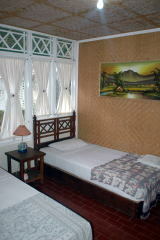 All rooms includes breackfast and taxies.All room has AC and hot shower. High season price; 01 April to 30th September. 16th December to 10th January. This hotel located on the south side of Candidasa. There are only 9 cottages in the premises. 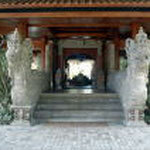 Sinve Balinese peple are family-run, we have sense of home. A quiet environment will heal your heart. Standard room USD35.00(USD40.00) Superior room USD48.00(USD53.00) Family room room USD68.00(USD73.00) Extra bed are USD10.00. All rooms includes breackfast and taxies. All room has AC,hot shower ,TV,FG and safty box. High season price; 01 July to 31st August. A small bungalows located near the lagoon. Bungalows scattered on the green grounds like a vast garden. 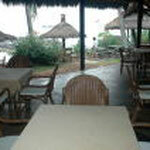 It does not face the sea, but it is bungalow where you can taste the open atmospher. A stylish french restaurant is available. It is about 5 minutes on foot to DIVELITE. 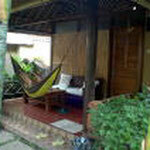 Cottage(24sqm) USD50.00(USD60.00) Villa(36sqm) USD60.00(USD70.00) Extra bed are USD25.00(USD35.00). All rooms includes breackfast and taxies. All room has AC,hot shower ,TV,DVD and safty box. High season price; 01 June to 30th September. 20th Decembet to 5 January. A large hotel facing front of Candidasa beach. It is located in the outskirts of town, so it is in a very quite environment. 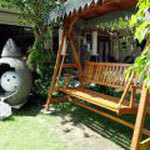 Garden view USD110.00(USD135.00). Deluxe sea view USD145.00(170.00). Extra bed are USD40.00. ALL rooms includes breackfast ,taxies. All rooms has AC,hot shower,bath tab and TV.